The Systems and Business Analyst role is a key resource on the Business Technology Team to assist Carolina CAT and Pinnacle Crane Divisions of CTE achieve desired business goals. The Systems and Business Analyst is responsible for triage, analysis and support of existing web-based applications and corporate ERP systems and related processes. In addition to supporting current solutions, this role will be also involved gathering requirements from business partners and project stakeholders to support enhancement requests and projects. The ideal candidate will come from a distribution or service industry and should have strong experience with system and process support, business analysis and implementation of various solutions and innovations. Provide production support for existing employee-facing web-applications and backend AS400-based ERP system. Ability to engage and collaborate with cross-functional teams and stakeholders to ensure requirements and objectives are understood, for day-to-day production support requests, projects deliverables and desired outcomes. 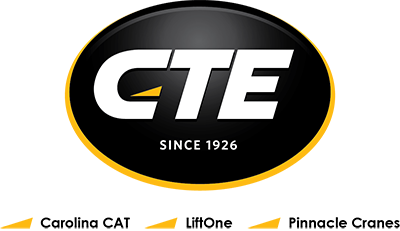 Demonstrates broad understanding of CTE’s web applications and Enterprise Business Applications, system and interactions. Work with Operations personnel and external partners to ensure application needs are addressed with the correct sense of urgency. Proactively identify issues and contribute to root cause analysis and resolution of system and process issues. Facilitate meetings with team members and/or vendors to drive required deliverables through completion. Positioned as the go-to subject matter expert across a multitude of applications/technologies and related business processes within the enterprise. Recommends and advocates for continuous IT improvement based on overall health of CTE’s applications. Provide internal systems testing, while also supporting acceptance testing by end users to ensure appropriate standards are met and successful deployment validation is completed. Acts as an interpreter to facilitate communication and collaboration between internal teams, and partners. Demonstrates an ability to communicate complex ideas clearly. Anticipate, quantify and resolve requirement-related problems and issues. Work with Operations and Business Technology Leadership to prioritize tasks and balance capacity . Bachelor’s degree in Information Systems, Computer Science or a related computer or business field. Five to seven years of working experience with delivery, support and enhancements of ERP, CRM, Sales and Service Operational systems, quoting tools, and digital and mobile applications. Proficient in MS Office Suite Excel, PowerPoint, Word, MS Project, web and mobile applications, CRM and quoting solutions, AS400 and/or other ERP systems. Experience with process and relationship mapping, use case and context diagrams, requirements and use case elicitation, analysis and validation. Experienced in authoring Business Requirement Documents (BRD) and Functional Specification Documents (FSD) and ability manage the requirements throughout the project lifecycle is desired. IIBA certification not required, but preferred. Demonstrated understanding and working experience with backend technologies, including API's and web services preferred. Strong communication skills with the ability to communicate technology solutions to non-technical individuals and foster a collaborative environment between IT and Business Operations Teams. Ability to provide a high level of customer service. Ability to work in a fast paced, dynamic environment. Must be team-oriented, possess a positive attitude and work well with others. Ability to prioritize and multi-task in a flexible, fast paced and challenging environment. Must be detail-oriented with the ability to work proactively and effectively with minimal supervision.